"I take my grandfather here and he loves the care he gets. We get wonderful service." "He is the most caring, compassionate, and sensitive physician I have ever known." "Highly recommend to anyone who has chronic pain issues." "Best pain management doctor I've met." "Informative and very helpful in educating me of my back problems." We formally congratulate Dr. Cabaret on achieving ABMS Board Certification in Addiction Medicine by the American Board of Preventative Medicine! 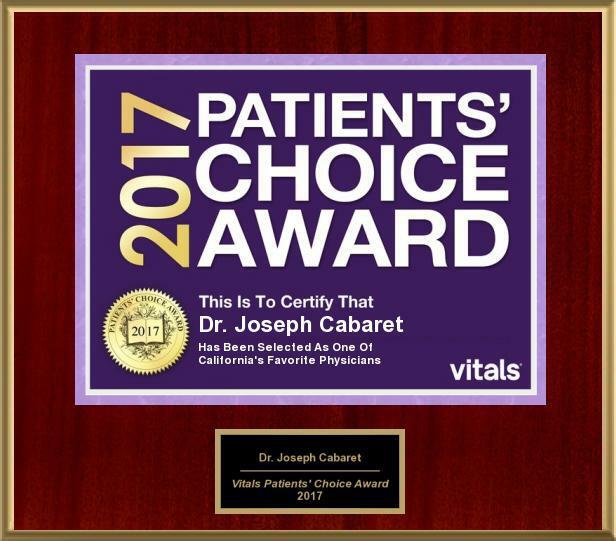 With the support of my wonderful and compassionate staff, my patients and I make this journey together via three important areas of focus. Regenerative medicine uses your body’s own cells to accelerate healing, relieve pain, and improve function. IPM addresses acute and chronic pain with medical procedures. Addiction medicine addresses problematic, medical-related substance and addiction. Dr. Cabaret's works with Tumaini International, an organization bringing hope through health care, education, and sustainable economic development to impoverished areas of rural Kenya. We accept most major insurance providers. Please contact our office for coverage-related questions.